Did you know that the WordPress platform is used to power 26% of all the content on the Internet? It’s also the most commonly used Content Management System (CMS) online, clocking in almost 60% of the market? The database of plug-ins, help sections, and websites dedicated just to using WordPress is staggering. All of this is good news for you, because you’re using WordPress, right? That’s why you’re here — to learn how to configure your WordPress blog, specifically for multiple guest authors. For most people, the time to get serious about multiple guest authors comes after you’ve built a good blog on your own content, got some recognition, and now want to expand you and your blog’s horizons. 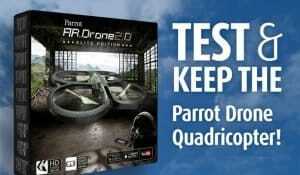 It can take some technical savvy and research to know the proper plugins to install. That’s why I’m here to help. 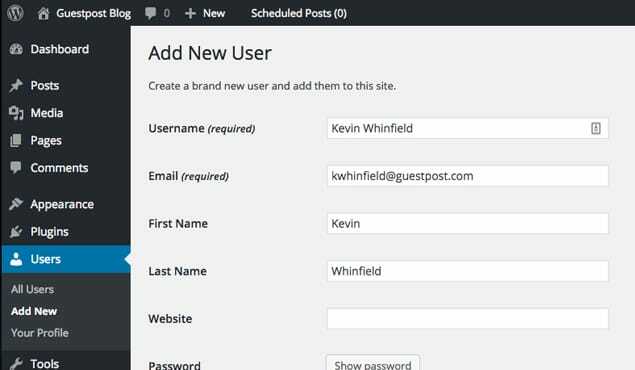 It’s no secret — getting WordPress to run multiple guest authors is really simple with the right plugin. The basic tool has been built right into the site, so you shouldn’t have to do much tweaking, and absolutely no coding. Every time you log into your WordPress blog and navigate to the back-end you see your dashboard. This is where Pages, Posts, Media, and a host of other features are located. If you browse down to the Users section (and click into it) you’ll see a list of people that have access to your website. If you’ve built the thing entirely by yourself using just a single account, you’ll only see your account in there. This will include a username, an email, and the “Role”, which in your case should be Administrator. The key to adding new authors in WordPress is simply to add more Users, and adjust their Roles accordingly. Below I’ll give a brief explanation of each Role, and how it would apply to a new guest author. This is the highest ranked Role in WordPress. You’ll only want people you trust completely as Administrators on your website, so keep this number limited to website owners. An Administrator has access to every nook and cranny of your WordPress, including the ability to delete anything, upload and install new themes, create new content, and anything else you can think of. You’ll often have to assign Administrator roles to developers and coders, if you hire people to work on your website for you and have any custom coding. It may go without saying, but don’t ever give a guest author the role of Administrator. It will never be necessary, and is a good way to seriously destroy your website. 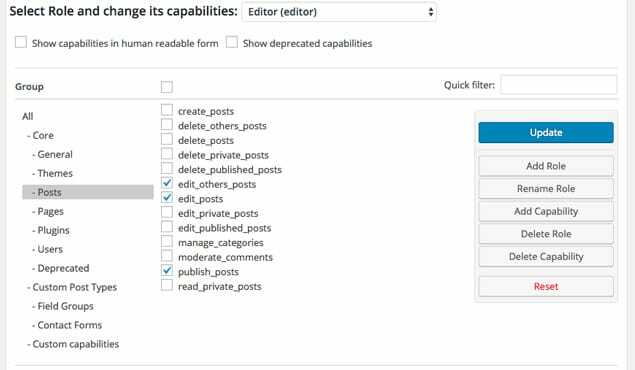 The Editor Role on WordPress is meant for people that will publish new pages and posts, both their own and anyone else’s. Editors cannot access other site functions, like changing the theme or deleting the site entirely, so it’s one step down from Administrator. Beyond publishing, editing, and generally tweaking pages and posts, Editors can add and manage different categories and tags on the site, though they can’t access the Menu layouts in order to make new tags and categories show up on the site. This, also, is not a good role for guest authors. While you want them to write for you, you don’t want them to publish their posts without your approval. If you’re running a small site, you typically won’t have anyone in the Editor category. If your site is big (and already has lots of authors), you’ll probably have a couple Editors. You’d think the Author Role would be perfect for your new guest authors, but you’d be wrong. (Aren’t you glad you’re reading this article?) The Author Role on WordPress is basically the same as the Editor Role, except Authors can only write, access, and publish their own Posts. This still doesn’t work, because you will want to review any post by a new author before it goes live. Just when you’re beginning to wonder where this is going, we’ve come to the key Role. 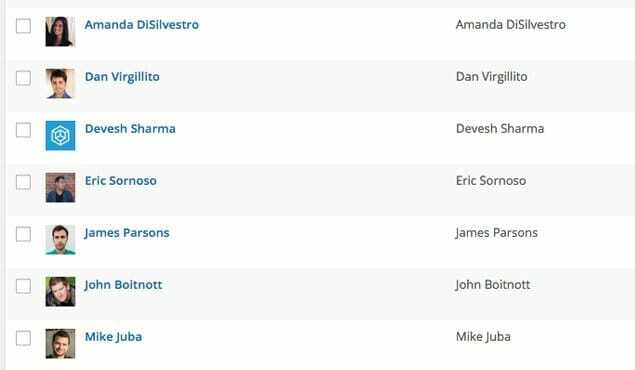 Contributors are the best setting for new guest authors on your WordPress blog. A Contributor can log into the backend of your website, create a Post and upload images — but that’s it. They cannot publish anything and they can’t access anything valuable on the site. After the Contributor has created a new post they will click a “Submit for Review” button, which is in place of the “Publish” button you normally see on a post. This will send an alert to you, the Administrator, that a new post is ready to be reviewed. You can then make changes, converse with the new author, and ultimately publish the article. Just for good measure, I’ve included the last Role on WordPress. Subscribers are those who have entered in their email address to a subscription service on your site, and will receive updates. They can’t log into your WordPress, and have no ability do anything but read your site. While there are plenty of scenarios where you might want Authors or Editors or some other version of a guest author, the Contributor is the most straightforward, safe way to proceed. I’ll continue with this example, and branch out more after this section. The Contributors will show up as actual authors on the front-end of your website, and people will see their name in the “Published By” area, along with a Bio (or byline) at the bottom of the post, if you want to make this visible. The goal here is to create legitimate author profiles for your guest contributors, so that you both look professional. The key component to using WordPress functionality for new guest authors is that every author will have an account with your website. You will create a new User for said author. To do this, you’ll need a username for them (usually their Author Rank name), and you’ll need their email address. 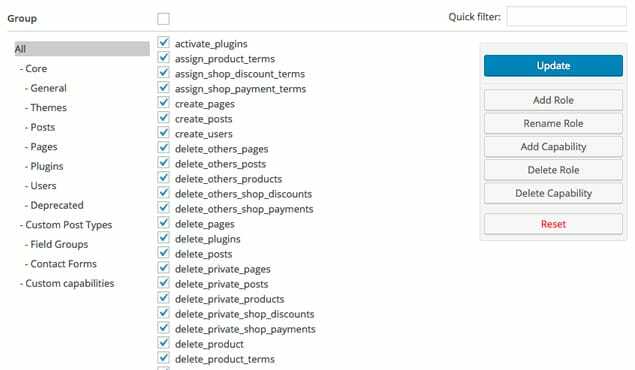 After entering each of these, WordPress can automatically send them a notification that they’ve been added to the site, or you can do it manually. Make sure they can log in, and after that they can change their password and update a couple parameters on their account, all in your website. With all the potential trust issues of allowing new authors into your site, you’ll want to be aware of what the Contributor has access to in your website and in their account. You can always go in and change their status, but it’s important to know what they can change. Display Name Publicly As: This is an option in the User profile, and can be toggled to a couple different things. The Contributor can change their First Name, Last Name, and Nickname in WordPress, but not the Username you assigned them. For the most part this doesn’t matter at all, but one of these names will be used when their Post is published. You’ll want to be clear with them which name to select. Biographical Info: Each Contributor can enter text into this Bio Info box, which can serve as their active Byline on your website. Instruct the Contributor to fill out this information if you want an offset, out of the article byline, or tell them to leave it blank if you want the byline in the article itself. Hyperlinks can be included in the Bio Info box, but they’ll need to be pasted in the HTML code form, rather than a visual hyperlink. Profile Picture: If you want your new guest authors to have a profile picture, instruct them to upload one here. WordPress is a little annoying in that it wants all users (even you) to use Gravatar, a related website that hosts user information, including a bio picture. This is one hoop to jump through, but it’s well worth it if you want a nice bio picture to show up on your website. You’ve probably added one for yourself already. Keep in mind that each of these can be tweaked by the Contributor themselves, which means you’ll need to trust them enough to enter in this information correctly, and then leave it be. Frequent changes to any of these can often be frustrating for a site owner. 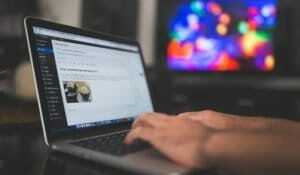 The above is the straightforward version of how to configure your WordPress blog for multiple guest authors. Repeat this process for as many authors as you have, and continue to add them over tie. The best part of this is that authors will be happy that you’re letting them into the back-end of your blog. Likewise, those authors will post articles directly in your WordPress, which cuts out formatting, emailing, and editing time. Not too bad, right? For those that aren’t happy with this methodology, I discuss some more options below. Let’s be real — site owners don’t always want to give access to random authors. Sure, there are guest posters who seem legitimate. Sure, they mean well and probably won’t screw anything up. The reality is that some people are crazy, technically challenged, or just really difficult to work with when it comes to stuff like this. If that’s the case, or if you’re the type of person who doesn’t want to deal with other people, consider using Contributors with this slight tweak. Make each Contributor by yourself, update their profiles by yourself, and collect the guest author’s articles via email. You can manually create each Contributor, but you’ll have to use a different email for each Contributor you create. This is the slight downfall to this method. However, if you have a web-hosting service and plenty of email accounts at your disposal, it’s a good way to go. Create an email account on your hosting service for the new guest author — Jane Woods. 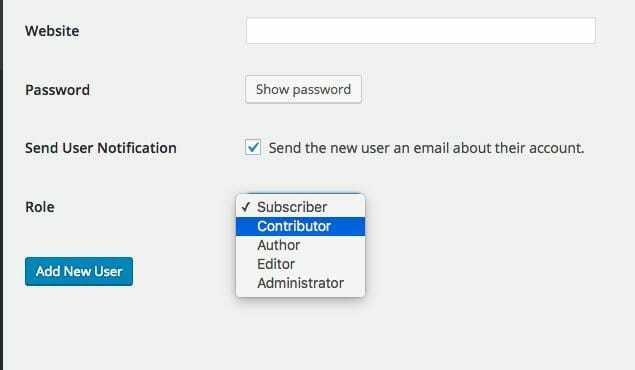 After creating Jane’s email (jwoods@mywebsite.com), add a new user in WordPress, enter Jane’s name and email as the new User, and switch her Role to Contributor (or, because you’re in charge, Author). Since you created that email, you will be the one to receive the WordPress login email in your inbox for Jane Woods. Open that up and you’ve got a new Contributor (or Author) with the right name and bio displayed publicly, but that person can’t actually get into your website. Just don’t give them the password. After this, take your guest author’s article (however they got it to you), and upload it into a post in WordPress from that Contributor’s account. This method keeps you in control of everything, yet still makes them show up as an author. It’s a bit more work on your end, but keeps it clean. 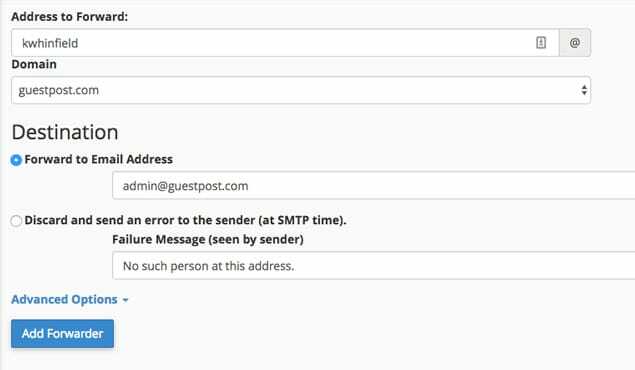 The above is how to run multiple guest authors with the WordPress default settings. It will work for most people as is, and is used by thousands of websites every day. The beauty of WordPress is how flexible it is, specifically because of plug-ins. Plug-ins are pieces of software written by WordPress users to increase functionality on all WordPress sites. The uses of plug-ins are pretty endless, and you probably have a number of them already running on your website. You can bet there are hundreds of plug-ins that increase customizability of your guest author profiles. 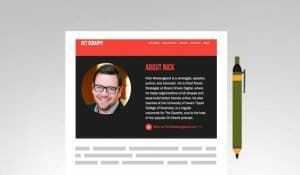 These range from back-end plugins that allow you to create editorial flow charts and notes for individual posts, to custom front-end displays like author bio and picture on the sidebar, rather than beneath the article. I won’t get into all the options, but will instead link you to this very helpful article by WPBeginner.com, which has 21 plug-ins that might help you out. 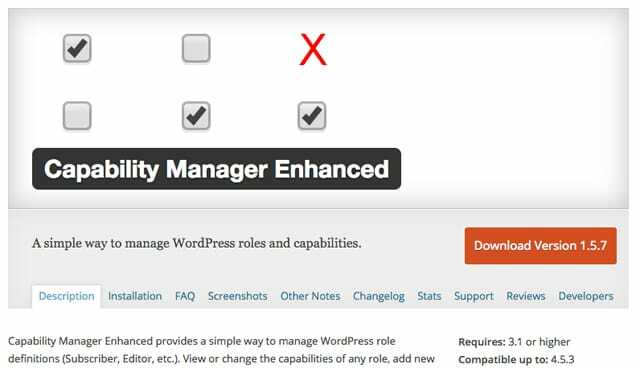 Capability Manager Enhanced: This plug-in allows you to customize the settings on those User Roles. 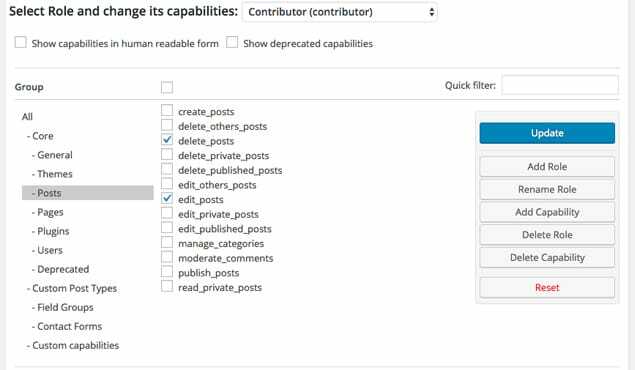 This means you can tweak the Contributor role to have more (or less) permission, giving you even greater control. Edit Flow: This plug-in creates that editorial flowchart I mentioned above. 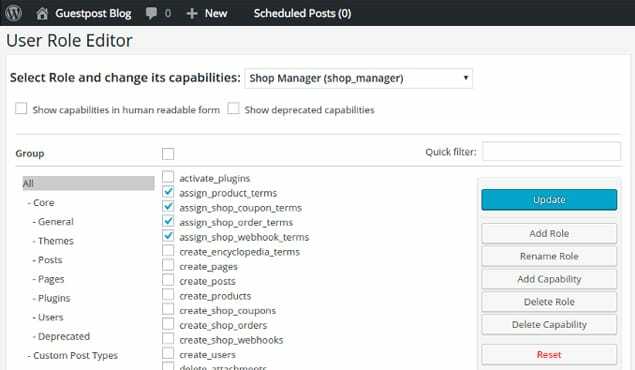 Basically, Edit Flow creates a number of new modules in your WordPress — like Calendar, Editorial Comments, Notifications, and User Groups — to better manage your authors. If you’ve got a steady stream of guest authors this will greatly increase your productivity. When it comes down to it, creating multiple guest authors on your WordPress blog is pretty simple. The above steps make the process very clear, now you just have to wade through a batch of authors, select the best, and make sure their content is up to par with your own. 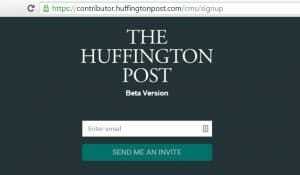 Most guest authors write these posts for the byline and potential backlink. That means you want your author profiles to be searchable and look excellent. 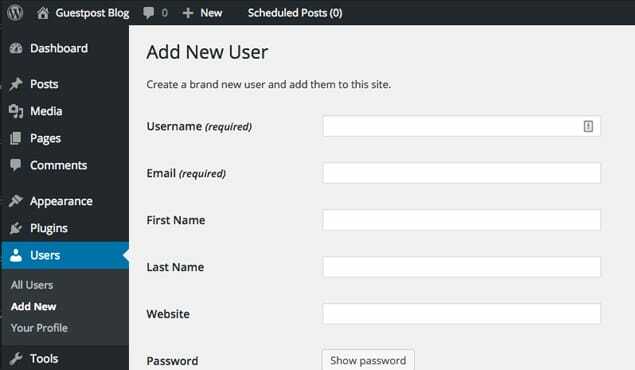 That’s all possible within WordPress, and even more customizable with plug-ins.